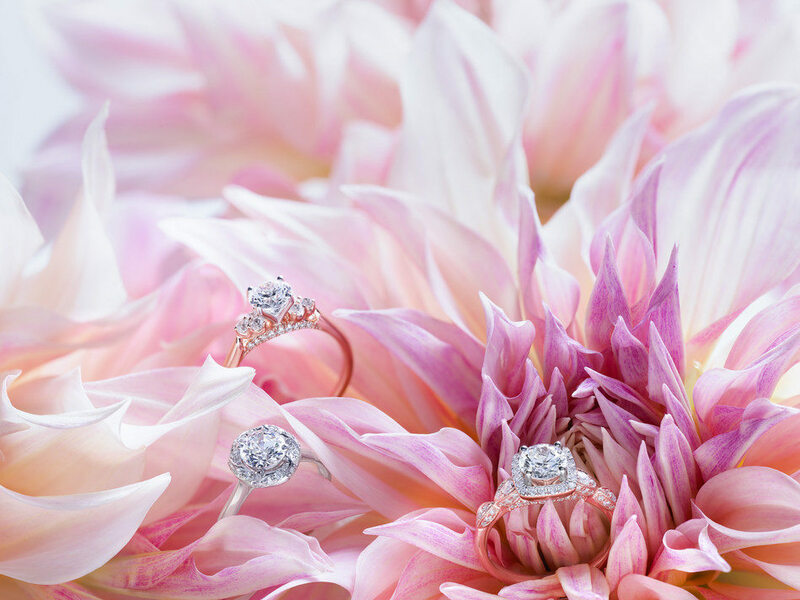 Monique Lhuillier has teamed up with Missouri-based Helzberg Diamonds to introduce a collection of engagement rings inspired by her bridal gowns. The collection offers 25 different styles in white gold, yellow gold, rose gold and platinum. Designs play off of the intricacies seen in Lhuillier's bridal gowns with delicate feminine lines. [post_ads]Features include hand-engraving, flower-petal shapes and scalloped side profiles. Each ring is semi-mounted, allowing for customers to fully customize size and shape of the center diamond. "Designing a wedding gown is a privilege — it's a huge part of an iconic and memorable day in a woman's life", said Lhuillier in a release. "But designing an engagement ring is, in some ways, even more impactful because it's a permanent symbol of love." This is not Lhuillier's first brand collaboration. The designer has a robust licensing business that has turned her name into a lifestyle brand across multiple categories including home fragrance, eyewear and fur. She also has her ML Monique Lhuillier diffusion apparel line, a bridesmaids line and projects with Pottery Barn for adults and kids. The Monique Lhuillier collection is available exclusively through Helzberg Diamonds. It is priced from $600 to $3,000.